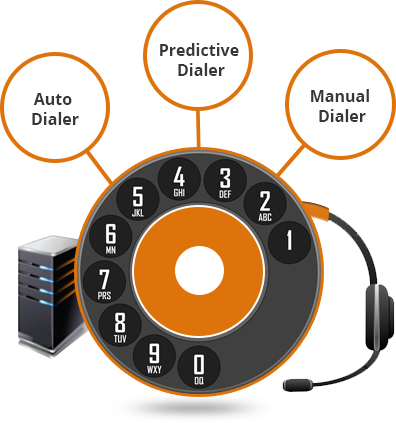 My IT Infra Dial Shree Predictive Dialer is a outbound/inbound telephone automated system that dial calls from a list of uploaded telephone numbers in sequence, screening unnecessary calls such as busy signals, no answer, answering machines and disconnected numbers while predicting at what point a human caller will be able to handle the next call. 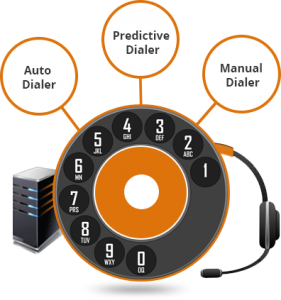 Dial Shree is a software-based Dialer solutions that help companies to avoid the use of expensive telephony boards and other associated hardware, which have high maintenance costs. Dial Shree Dialer are very easy to use, and therefore it is used more in following areas like telemarketing, payment collection, service follow-ups, surveys and appointment confirmation. time” agent statistics and performance metrics for Quality Analysis. 2.Scheduled Callbacks for Agent-Only and Anyone. client and distribution of calls. 4.Time Zone Dialing as per each country criteria. 5.Multi-purpose Report for measuring Agent Performance & Call center metrics at your fingertips and wallboards with real time metrics in a visual format. 6.Scalable to N no. of Agents seats. 10.SMS Management for sending SMS to customer once call is completed. 11.EMAIL Management is for sending Emails to customer with all required details of company. 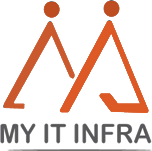 12.CRM Integration – Capable to integrate with 3rd Party CRM. 13.Answering Machine Detection(AMD) detection around 80-85%.